Turkey's purchase of Russian air defence missile systems should not trigger U.S. sanctions because Ankara is not an adversary of Washington and remains committed to the NATO alliance, Defence Minister Hulusi Akar said on Monday. 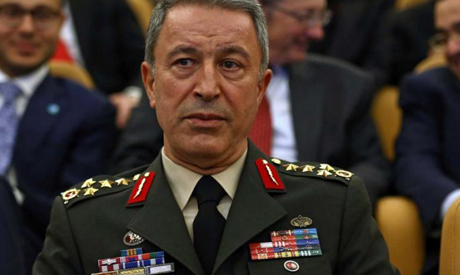 Akar also said that Turkey expected to remain not just a buyer of F-35 stealth fighter jets but also a partner in its production, despite U.S. warnings that it would be shut out of the F-35 project if it buys the Russian S-400 defence system. The United States says it will not allow F-35s to operate alongside the Russian defence system. U.S. Secretary of State Mike Pompeo said last week that Washington had told Ankara it could face retribution for buying the S-400s under a sanctions law known as CAATSA.